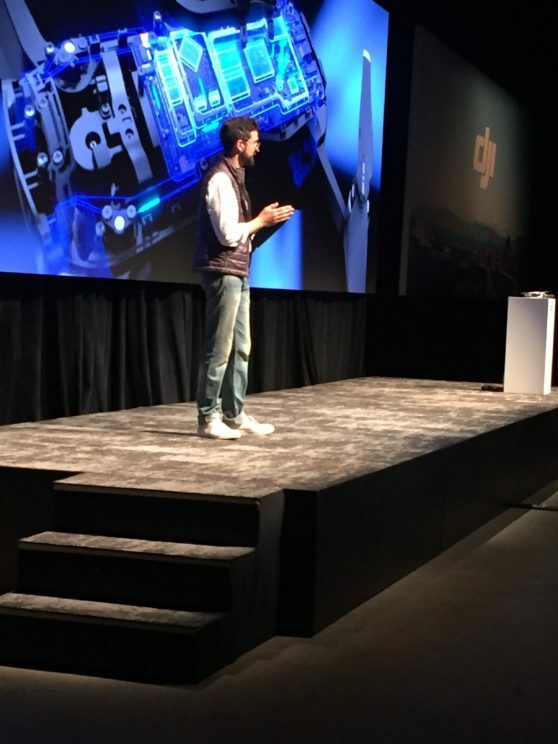 Yesterday, in a large, dark room on the west side of Manhattan, DJI, the drone-making kingpin, released its latest offering: the Mavic Air. The air (no pun intended) was thick with excitement, and a large crowd was present, all seated at a forward angle, as if hoping for the opportunity to grab product off the presentation stage. As the speaker appeared, looking Silicon-Valley-as-heck in white tennis sneakers and a metallic vest with subtle sheen, the crowd remained silent in expectation, shifting nervously and retrieving smartphones from pockets made inaccessible due to their current posture and the influx of onlookers on all sides. 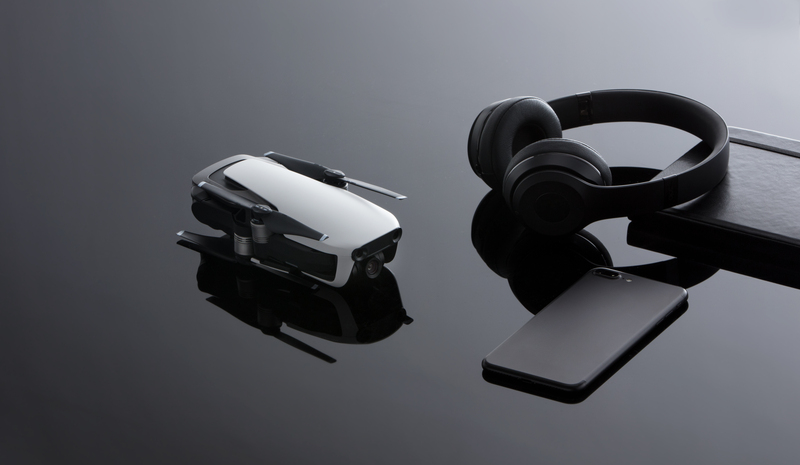 Portability– Just like Apple, the “Air” in Mavic is meant to convey how light it is. 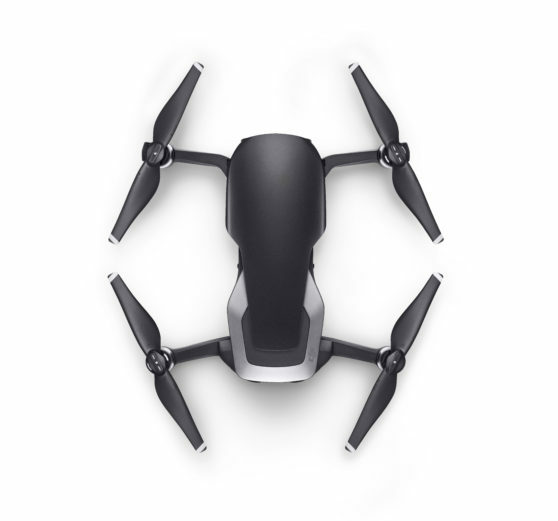 Coming in at just 430 grams and with foldable propellers, the whole device is just larger than a smartphone when not in use. As Chris Burkhard attested when he took the stage: “taking a drone used to be a big deal, now it’s the equivalent of taking an extra lens. However, that doesn’t mean it’s relinquished any power; bigger isn’t always better. It shoots 12 megapixel stills, has 4K video capabilities and is able to shoot 1080p slow-mo at 120 fps. An added USB-C port and the equivalent of a 24mm F2.8 lens brings this baby fully up to date. 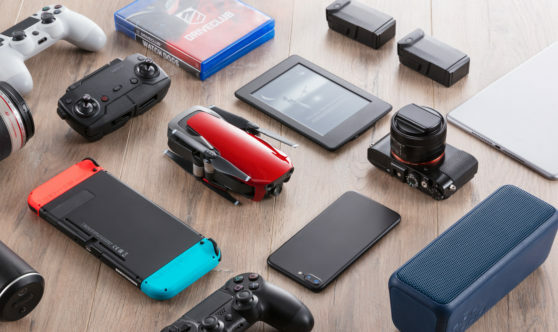 Finally, for those of us who tend to forget things (or get them lost in deep, messy pockets), the Mavic is the first drone to carry 8 GB of onboard storage, sweet. QuickShot– The new Mavic comes with tons of features meant to make the creation of high-quality, visually interesting work incredibly easy. Most notable is its QuickShot “intelligent video modes.” These are predetermined flight paths which, with the click of a button, your Mavic can take. 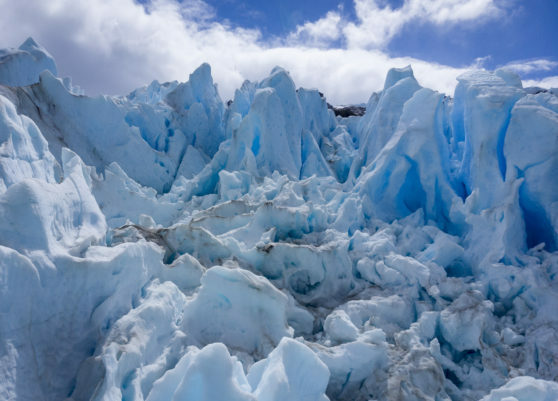 The result is pans and zooms which are smooth, captivating, and ultimately seem to be the work of a professional pilot. As our presenter made clear, oftentimes you have only one chance to take a shot; coupled with the difficulty of guiding a drone precisely, that one shot can frequently be wasted on a misguided flight path. With presets including “Rocket, Dronie, Circle, Helix, Asteroid, and Boomerang,” DJI makes sure you get it right the first time. 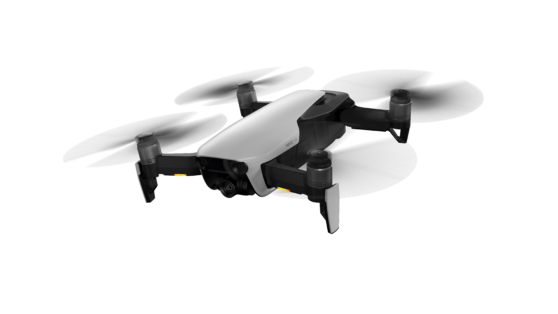 Flying Safely– The Mavic Air has a flight time of up to 21 minutes, a max speed of 42 mph, and can operate in winds up to 22 mph and elevations of 16,404 ft above sea level. Most impressive, however, is what it can do during that flight time. Advanced Pilot Assistance Systems is an upgraded feature which can guide your drone safely through obstacles during flight, weaving between them like Bode Miller. The demonstrations they gave proved this to be true, as I watched drones flying between paper Christmas trees and other detritus without manual inputs. DJI is taking pre-orders now on store.dji.com. The product will begin shipping on January 28 and will appear in stores on the same date. This includes the four DJI Flagship Stores as well as other licensed listed on their website. Let’s be honest, though; you’re going to order it on Amazon. 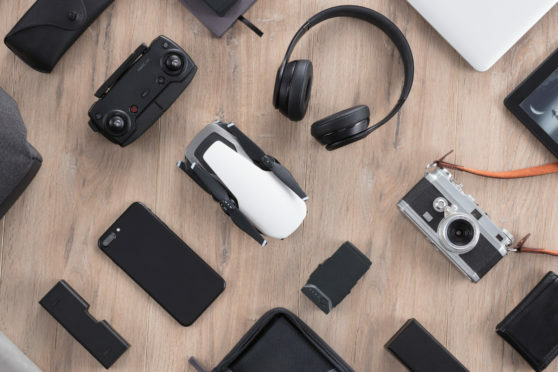 It comes in two price packs: a $799 which includes drone, battery, remote control, carrying case, two pairs of propeller guards and four pairs of propellers, and a $999 bundle, entitled the “Fly More Combo” which include an extra battery, a travel bag, two extra pairs of propellers, a battery to power bank adapter and a battery charging hub. It also comes in three colorways: a sinister Onyx Black, a matte-finished Arctic White, and a shiny sports car-esque Flame Red.